Our easy-to-use mind maps give you the freedom to express your ideas intuitively. Easy to use maps allow you the freedom to express ideas intuitively and quickly. Achieve momentum and take your A-levels with confidence. Revising for your TAFE exams is always a stressful time in every young person’s life. The pressure of deciding what to study and which University you want to go can quickly overwhelm you! 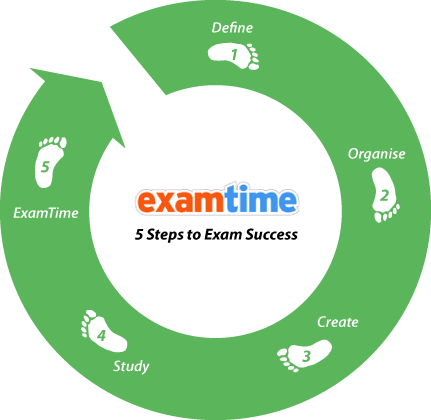 So, anything you can do to make your life easier as you prepare for your exams is invaluable! With Examtime you’ve found just that! We offer unique online study tools to help you create study resources that will aid your TAFE study. You can then keep track of what you’ve studied and what you still need to achieve with our goal setting tool. Best of all is that when you study, you are not alone! You can share your resources with your friends so when we say you’re TAFE revision has gotten easier we mean it! Our Mind Map tool is perfect for revising subjects like English and History and other foreign languages as you can outline and plan essays, dissect novels, plays and poetry to enable an in-depth analysis or just brainstorm ideas, whether alone or with friends! Our Flashcard feature is great for memorizing. So it’s perfect for Maths and science subjects such as biology, physics, chemistry or any other science subject, as you can memorise formulas, equations and all those academic definitions! Our quiz feature is ideal for all TAFE subjects as it allows you to test yourself and your friend’s knowledge about what you’ve already revised. Our unique blend of tools enables you to prepare and revise for you’re TAFE exams in confidence. So sign up for free now!